Whether you’ve been seeing someone for a couple weeks or a couple years, there is something really exciting about going on a date. 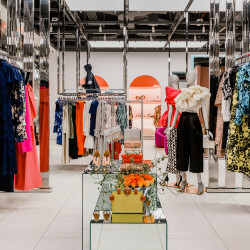 We’d argue that the best part isn’t the dinner or the museum but the getting-dressed part, which, if we’re also being honest, we’re doing mostly for ourselves. Also, who says a date has to be fancy? Earlier this week Alexa Chung told us she almost always opts for a nice pair of dungarees on a date. So yes, we’ll wear a nice pair of dungarees (which is the best and only way we’ll be referring to denim from now on) too, if we want. Although, we’d just as quickly throw on a gown or a corset. 1. Miaou Morgan Plaid Pant: My boyfriend and I are both native New Yorkers, so we love to walk everywhere, every day, all the time. This means most of our dates will start in one borough and end in another. We both also have zero perception of time or distance, which keeps things exciting (and exhausting). Since I know we’ll be doing a million things and running around all day, I often wear pants on our dates and recently this Miaou Morgan Plaid Pant is the only pair of pants I want. They’re more fun than standard denim and weirdly make me think (in the best way) of high school, which is also where he and I met. So essentially I need them for sentimental reasons (Rafe, are you listening!?). 3. 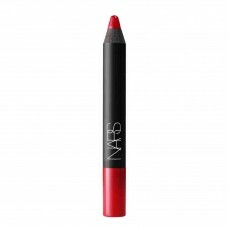 NARS Velvet Matte Lip Pencil in Dragon Girl: In the Summer I tend to get very tan and my freckles come out across the bridge of my nose and under my eyes. I love letting this natural glow (bless you, sun!) stand alone and tone down my eyeliner in favor of a bold red lip. This matte lip pencil is the best and has the sauciest name! It makes me feel like the fiery Spanish lady I am and I’m all about that (sí, sí!). 1. Asceno Pajama Top & Pants: I’ve been with my husband for eleven years, so while the magic is not dead, it’s maybe dormant. However, I’d never, ever trade super cozy nights in watching ’80s space movies and eating pizza for evenings out where I have to actually look like I try. 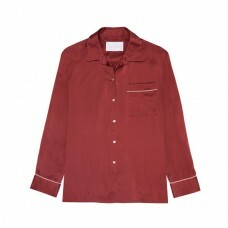 I’m obsessed with Asceno’s entire line of sleepwear, mainly because I can also wear it out of the house. These top and pants work whether we’re venturing out for dinner and a movie, or just ordering dumplings and calling it a night. 2. 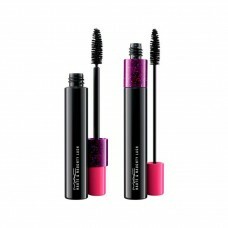 MAC Haute & Naughty Lash Mascara: The only time Justin has ever said he likes my makeup was when I was wearing this mascara. If I do decide to pull out all the stops, this is what I’ll use. 3. 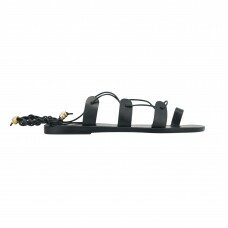 Ancient Greek Sandals: Even if I am putting on a pretty dress for date night (midi-length, swirly, and deep-V, always), I won’t wear heels. I love going for an after-dinner walk, so staying comfortable is important. 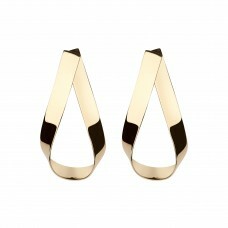 I like this pair for the gold LALAoUNIS accents, and because they lace prettily up my leg. 1. Réalisation Par The Alexandra Navy Star Dress: Honestly, every single one of Réalisation Par’s dresses should magically appear in my closet any day now, but this navy one in particular is so painfully chic I’m obsessed. I also feel sexiest in this type of silhouette—short hemline and long sleeves—so I think it’s time to finally scoop up the Alexandra in Navy. I’m pretty sure my boyfriend will agree. 2. Billy! 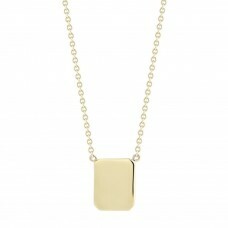 Custom Tag Necklace: Since I’ll be rocking a low neckline for this date (preferably while eating a mountain of rosemary fries at The Spotted Pig), I think a long, delicate necklace would pair perfectly. 14k gold, obviously, customized with my initials. Candice Pool Neistat designed the Billy! 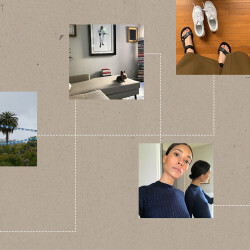 brand around tomboyish beauty and style, which is totally my MO, so I can’t wait to add her necklace into my regular rotation. 3. Carlen Parfums Butch Femme: I recently dove headfirst into the whole fragrance world, and I can happily report that my vanity is now covered with dozens of beautiful glass bottles. Butch Femme from Carlen Parfums is one of my new favorites for an evening out in New York. It has notes of bergamot, sandalwood, and bitter orange, and reminds me of summer weekends sharing late-night beers on my roof. 1. 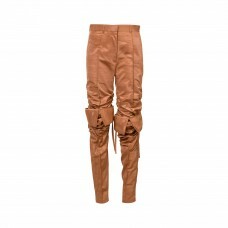 Y/Project High-Waisted Track Pants: It’s rare you’ll find me in anything but pants on a date. That being said I’ll go out of my way to make sure the pants aren’t any regular pair of jeans—which brings me to these track pants. In my eyes, they’re perfect. All they need is a white tee, a pair of heels and I am good to go. 2. 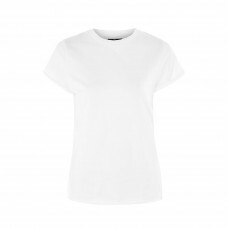 Topshop Roll Back T-shirt: Aforementioned white t-shirt: check. 3. Christian Louboutin Douce Du Desert: Try and tell me these aren’t the perfect shoes for a date night, I dare you. 2. 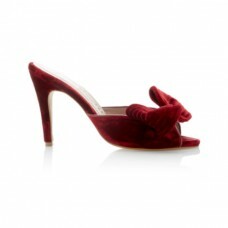 Joanna Oritz Velvet Heels: ...because they look like this. I’m not big on heels these days, but super feminine slip-ons are my kryptonite. 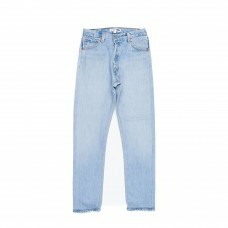 Plus, I love how they’re fancy and rich in texture compared to casual denim. 3. 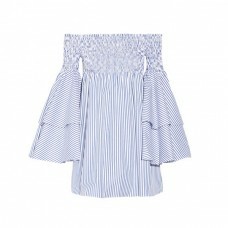 Alice & Olivia Blouse: I’m a true believer in the power of a great white blouse. This one, with its plunging neckline, is just the right amount of heat. 2. Jennifer Fisher Script Doorknocker Earrings: A special night, a special dress...I obviously need a special pair of statement-making earrings to make the look complete! At this point, I’ll look for any excuse to make these Jennifer Fisher babies mine. 3. 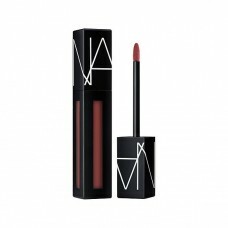 Nars Lip Powermatte Lip Pigment: This Nars Lip Pigment is freakin’ vibrant, but it’s also smudge-proof...and, well, smooch-proof, in this case! Photo Credit: Shot on site at 6 Columbus, a Sixty Hotel; On Solveig: Dress, Jonathan Simkhai; Rings, Azlee, Baker & Black; Hair, Angela Soto; Makeup, Andriani.